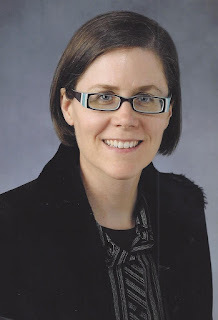 Julie Buchsbaum agreed in 2014 to be a member of the editorial board of my brand new press. She was, in her always modest way, proud to be asked, and we hoped that it would give her a center and focus to help her weary mind. She agreed because of our fast friendship, though she had her doubts. Lyme disease, from which she'd already been suffering acutely and painfully for several years had undermined her ability to concentrate or write, to think, to muster the energy to walk her tiny companion, the beloved dog Gilbert, whom she carefully tucked into his seatbelt whenever they drove out to buy groceries. She was living in a little house in Lawrence, Kansas, where she had been a librarian at the University, receiving medical care from doctors untutored in the treatment of Lyme, and living on disability. When I met Julie in 2002, we were both underemployed artists and thinkers at Kenyon College in Ohio. The poet (a Paul Engle Fellow from the Michener Foundation at the Iowa Writer's Workshop) had become a computer-competent librarian to feed herself, and we'd laugh (what else to do?) about her days spent "crawling under the desks of rude English professors to fix their computer problems." I was then a visual artist who had lectured at to the British Society of the History of Medicine, at that point having my fingers slapped by my former-elementary-school-teacher supervisor at the library circulation desk when I made mistakes. Julie and I were displaced persons, mutual admirers, and instant soul-mates. We often met at the little bar next to the laundromat to drink (beer for the Milwaukee native, liquor for me) and spend long evenings laughing over the absurdity of our lives there. We'd imagine our liberations. She pursued hers. She bought a Honda Rebel motorcycle and rode her intellectual and spiritual restlessness to the University of Missouri, where she became a G. Ellsworth Huggins Fellow and earned her PhD in English. Julianne Buchsbaum published three volumes of poetry in her 47 years. Slowly, Slowly, Horses was her first, from Ausable Press in 2001. I read it when we met and it was part of our love. Her powers of observation were so acute as to be almost a burden, and her bravery in seeing whatever there was acquainted her reader with the junk and bruises of the world in ways that raised them to the spiritual. During the years we were separated she published A Little Night Comes, Del Sol Press, 2005. Her last poetry was The Apothecary's Daughter, Penguin, 2011. 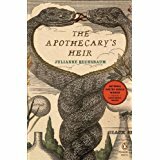 The Apothecary's Heir was a National Poetry Series winner, chosen by Lucie Brock-Broido. I was delighted to review this mesmerizing book in my blog, Starr Review, in 2012. Brock-Brodio's citation said, "The Apothecary's Heir, is riddled with 'venom and wonder,' heavy with the freight of mystery and magical thinking. This is a world where a branch 'is deranging the air,' where flies 'burgeon' in a 'broth of gold light. '...The poems are elixirs." 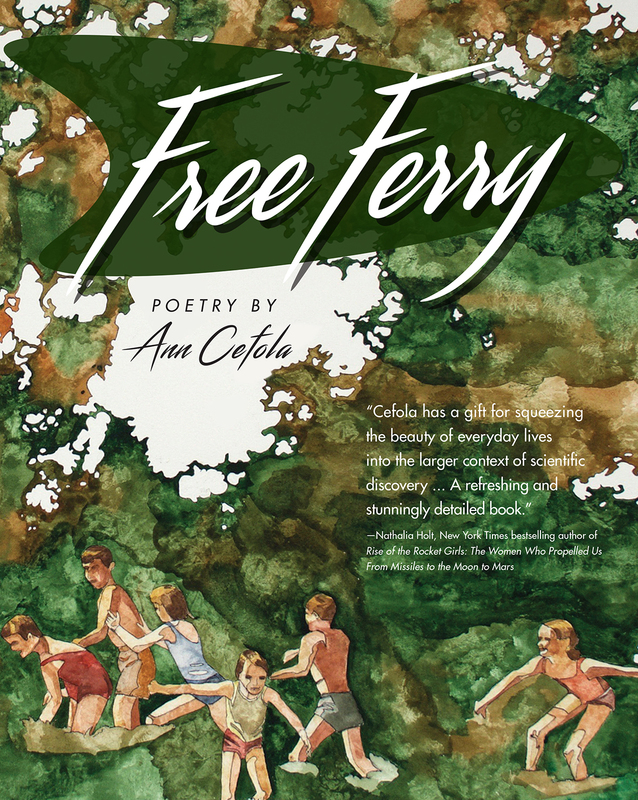 In April, 2017, Upper Hand Press will publish its first poetry, Ann Cefola's remarkable dual-narrative work, Free Ferry, a book fine poetry connected both to ancient myth and to the science of the atom bomb. I am very proud that Cefola's book is the inaugural volume of my press's Booktree Poetry Series, named in Julianne Buchsbaum's honor. 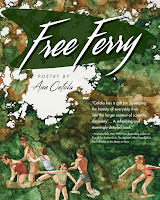 Free Ferry is particularly suitable: Julie, having studied classics, philosophy, and the history of science—all in depth—would have delighted in breadth of interest and in the fine language. I depended on her living to receive a copy and to rejoice with her and Ann together. I am heartbroken. If you read Buchbaum's poetry, think of what I strive for at Upper Hand Press; for what is fine and penetrating in thought, perception, language, and insight. I appreciate this thoughtful and well-written account of your relationship with Julie. She was my mother's daughter, given up at birth, and we had a connection through e-mail, letters, and phone calls when she found me in 2003. I am saddened that we never met in person. But, I feel like I met her a little bit more through your posting. 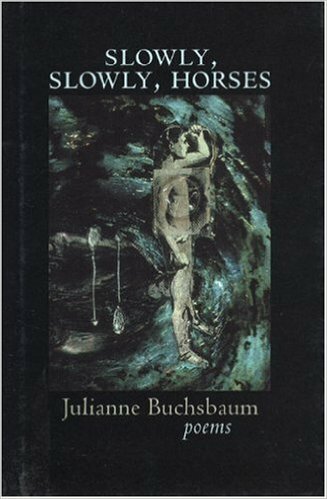 I am longing for another book of poems from Julianne Buchsbaum. Please tell me if you know whether or not she intends to publish another beautiful work. Thank you!! !